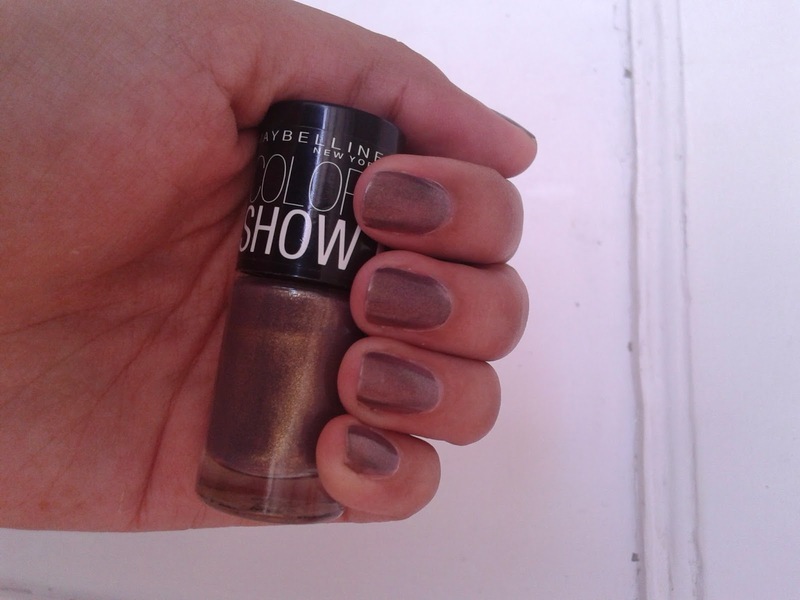 Maybelline Claims: Stay right on trend from your tips to toes with new Maybelline Color Show. Our gel based formula with color popping pigments, comes in 40 bold, super stylish shades that look great on nails. So go on, mix, match and make the most of color. I like how Maybelline has done the packaging. Its simple and compact. This is a very unique shade. 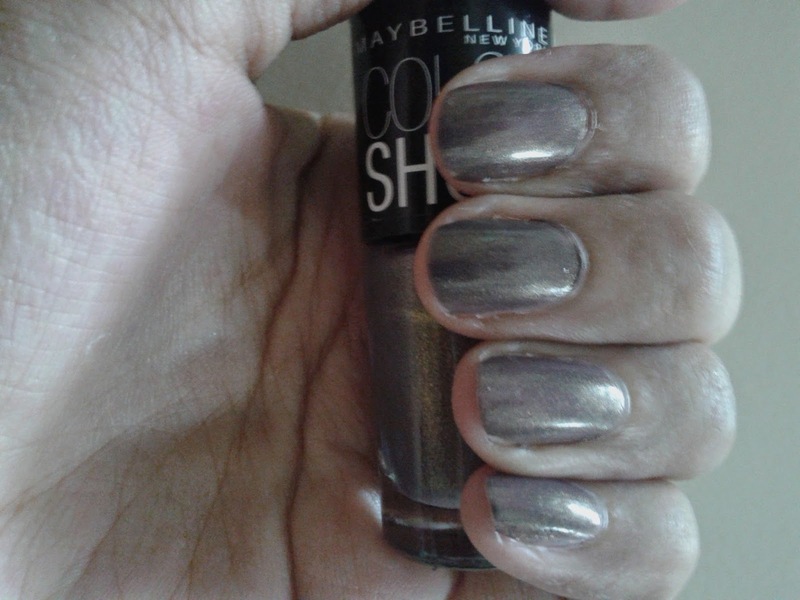 It’s a dirty grey color with golden shimmers in it. 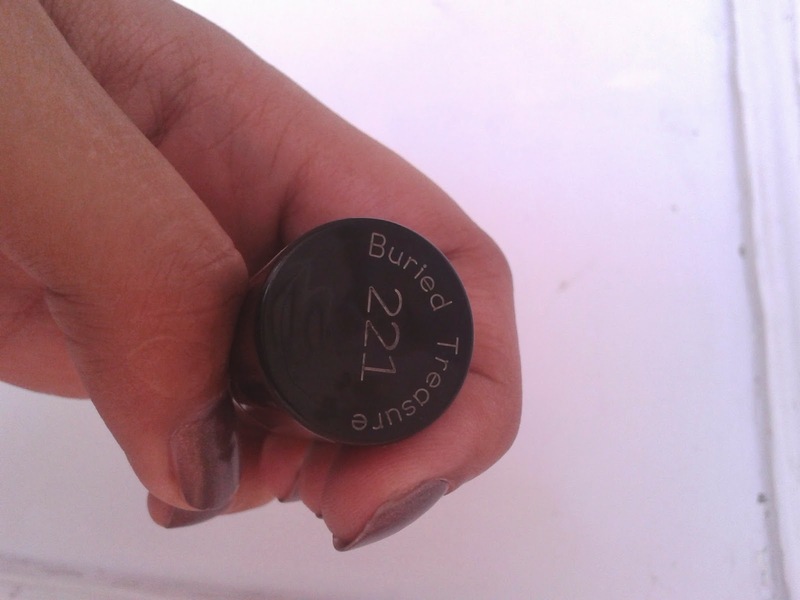 This is a shade which you won’t find easily in other brands. 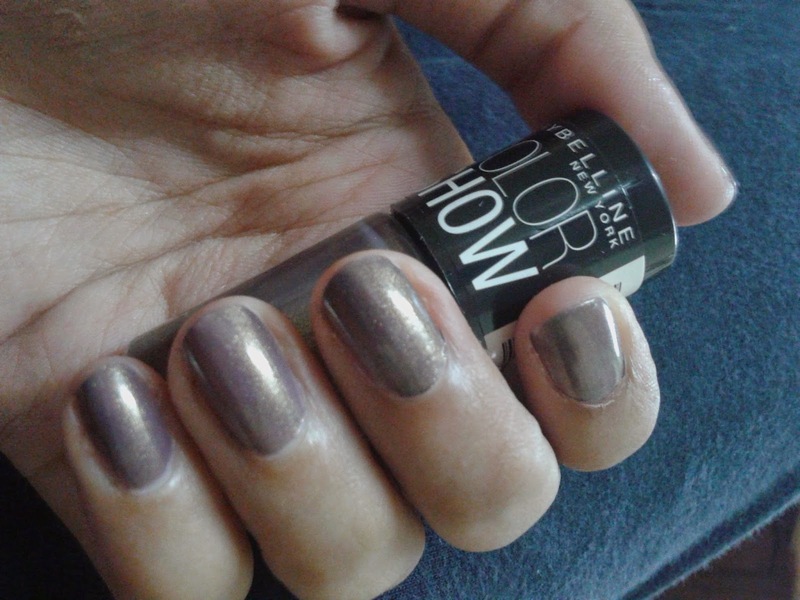 It’s a lovely shade to wear for parties or occasions. Its pigmentation is good. One swipe in more than enough! The shimmers make this dull color look very beautiful. It dries pretty fast and doesn’t chip for around 5 days! I love Maybelline for coming up with such high quality products at reasonable rates. Do I Recommend? Yes, this is a must have shade from the range. It’s pretty unique. Will I repurchase it? Not, this shade. I already have 3 more shades from this range. Will definitely be buying more shades and checking out the new Glitter Mania collection as well.